Total black shoulder bag. 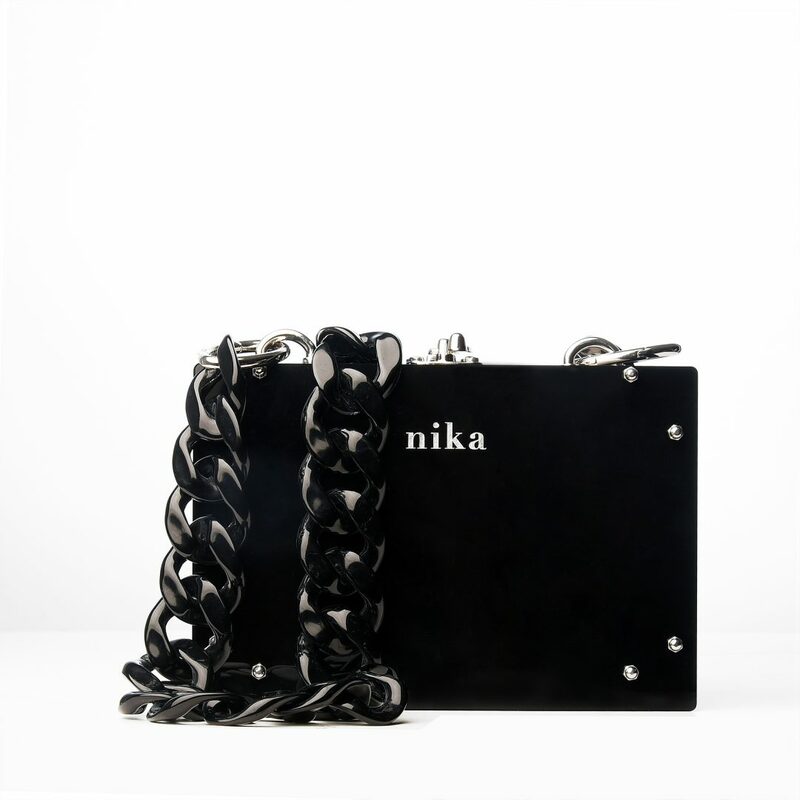 Black plastic chain. Total plexiglass. Stainless closure on the top. Stainless hinges on the bottom.